Aloha from the spectacular North Shore coastline of Kauai, The Garden Island. Thank you for your interest in our Sandpiper unit 123A & B (two bedrooms). 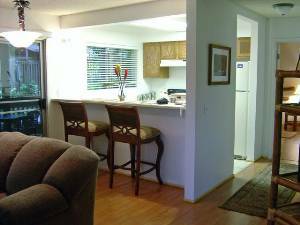 The unit can also be divided into a studio unit, or one bedroom unit. 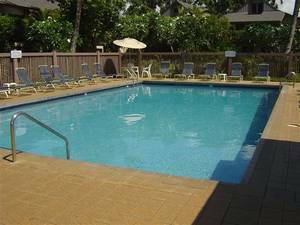 The condominium is located in a master planned community (Princeville, Kauai) which has the most beautiful tropical scenery of all the Islands. Our condo was newly re-modeled for the 2004 season! 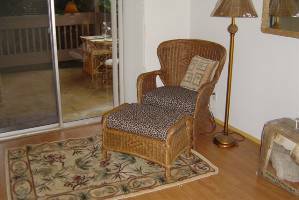 New hardwood floors, new furniture and bedding, new linens, new washer/ dryer...and my favorite... newly installed DSL makes internet access a breeze (included in price) the telephone in our unit is available for your use for on island calls and credit card access for elsewhere. Our beautiful condo has a queen bed in the master bedroom (adjustable firmness by remote control! 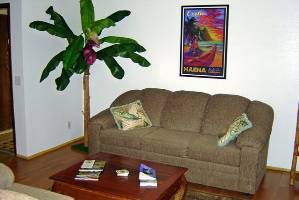 ), a full kitchen, and a large lanai with overhead plantation fans in living room and kitchen. Enjoy cable T/V and DVD and VCR, CD player and radio. There is even a new washer and dryer in the unit to wash all of those sandy clothes!. We also have a lovely large pool and Jacuzzi and Webber gas grills, pool is beautifully mainatained by on site management. 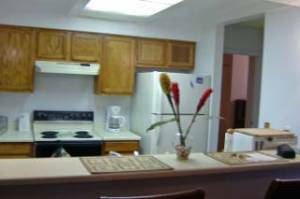 The unit comes completely furnished with all kitchen appliances including dishwasher, built in microwave, coffee maker, toaster, blender, dishes and flatware. 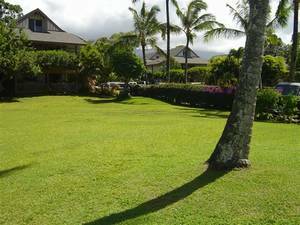 Shopping Center w/ cute shops and a full grocery store is less than 3 minutes away, Hanalei Town 5 minutes away, beach 5 minutes away and the Princeville resort is less than a mile down the road! This unit is available as a 2 bedroom or as a Studio only as well, the pricing in this ad refers to 1 bedroom configuration, questions about other configs can be referred to me via e-mail... Mahalo for looking! The weekly rates for each type of accommodation at the Sandpiper Village are from $299-$365 for the studio unit, $499-$550 for one bedroom unit, and $599-$675 for the entiretwo bedroom unit 123AB. A tax of 16.41%, including a 5% energy tax, must be added to the indicated weekly amount, plus a cleaning fee. We have seasonal rates. The first rate for a unit represents the low season rate for the period from September 15 to December 15: the second rate for a unit represents the high season rate from December 15 to September 15. The check in time is after 3 pm and check out is by 10 am. Refunds are made in full, less administrative fee, for all cancellations made more than 60 days prior to scheduled arrival date. After the 60-day period expires refunds are paid only if the condo is booked and rented for the full booking period. There will be an administrative fee charged for the greater of one days booking, or $100. The administrative fee is applicable to each week booked, or portion thereof, with respect to all booking changes, or cancellations, made after the original booking date. For example, If you rent for one week and you change your reservation or cancel it, for any reason, the fee will be either $100, or the average daily rate, whichever is higher. If you rent for 2 weeks and you change your reservation or cancel, for any reason, the administrative fee will be either $200, or the average daily rate, whichever is higher. Deposit: 50% deposit is allowed only if booking is for a full week or more. The rates above are subject to change without prior notice and constitute the official rates, and any rates found on other web sites that differ are not controlling. Other Fees: A tax of 16.41%, including a 5% energy tax, must be added to the indicated weekly amount, plus a cleaning fee.